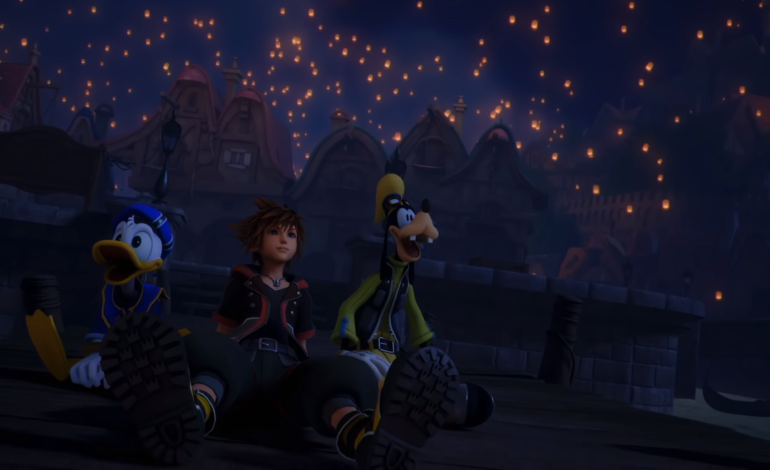 A couple of weeks ago, a new trailer for Kingdom Hearts III revealed that the silly old bear known as Winnie the Pooh would be making a reappearance in the series. However, as a Chinese video game site showed, this could cause some interesting problems for the game when it gets ported to China. On the Chinese video game website A9VG, some of the screenshots for Kingdom Hearts III have a bright white burst over Winnie the Pooh. It’s the same technique used to censor the more explicit parts of Chinese adult magazines. Why would a Chinese video game website censor out images of Winnie the Pooh, one of the most innocent characters to appear in the Kingdom Hearts series? According to Vox, which was reporting on the movie Christopher Robin not receiving a release in China, Chinese leader Xi Jinping has been cracking down on memes comparing him to Winnie the Pooh. One of the first ones originated from 2013, which juxtaposed a picture of Xi Jinping and then-President Barrack Obama walking together with Winnie the Pooh and Tigger. Memes like that one have prompted Chinese censors to block images and mentions of the innocent bear on social media. Interestingly enough, the censorship of Winnie the Pooh in regards to Kingdom Hearts III has been inconsistent so far. According to Kotaku, various other Chinese websites, including A9VG itself, feature images of the game where Pooh isn’t covered up. The original page with the censored images leads to a 404 error now. While censorship so far has only been inconsistent cover-ups of screenshots, Chinese censors can be strict about what’s okay. GamesIndustry.biz says that China has put a halt on new video games being approved for release as they put in new licensing procedures. The freeze has lasted long enough that even huge companies have seen major repercussions, such as Tencent, which has seen its stock price plummet by half.